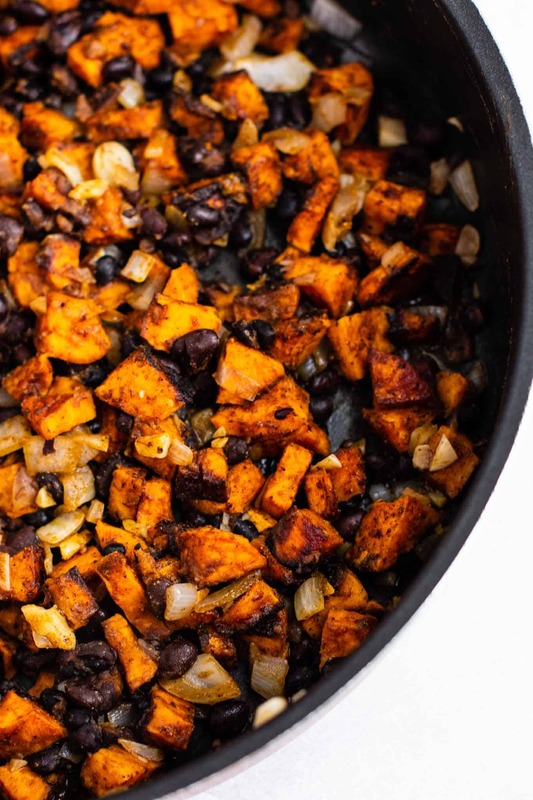 Sweet potatoes are one of my top picks for any mexican related recipes. 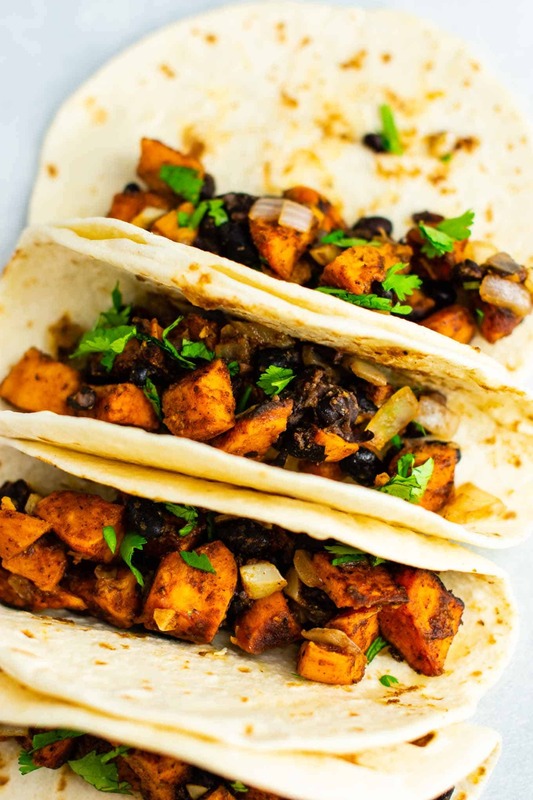 These sweet potato tacos are full of smoky flavor and are so filling and delicious! 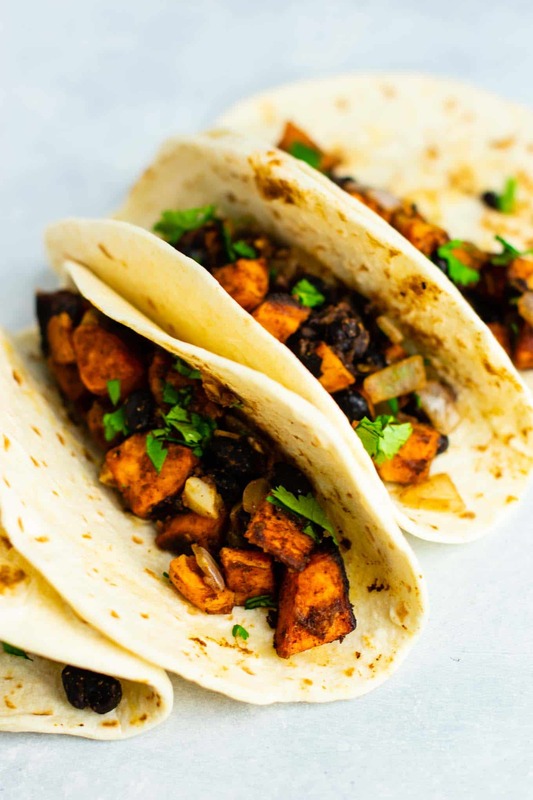 Sweet potatoes are perfect for vegetarian mexican recipes, because they are not only nutrient dense (and filling), but their sweetness contrasts perfectly with those smoky flavors and fresh zing-y lime juice. I prefer to roast mine at super high heat to get some crispy edges. Soooo much yum! Simple, and packed full of so much fresh flavor! I buy sweet potatoes almost every week and love to roast them. Gone are the days of my childhood where I only ate sweet potatoes at Thanksgiving. I had no idea what I was missing! First, you’re going to peel and dice your sweet potatoes into small chunks. Toss them with spices and olive oil, and transfer to a large nonstick baking sheet (like what you would bake cookies on.) Edges are preferable, to keep the sweet potatoes from falling off when it’s time to flip and stir them. 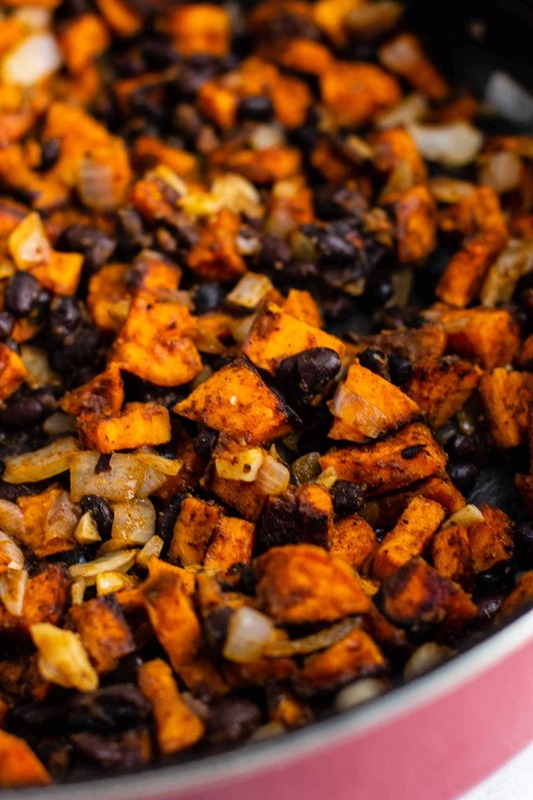 Next, cook up some fresh garlic and onion (always always), then add in your black beans, fresh lime juice, and your cooked sweet potatoes. 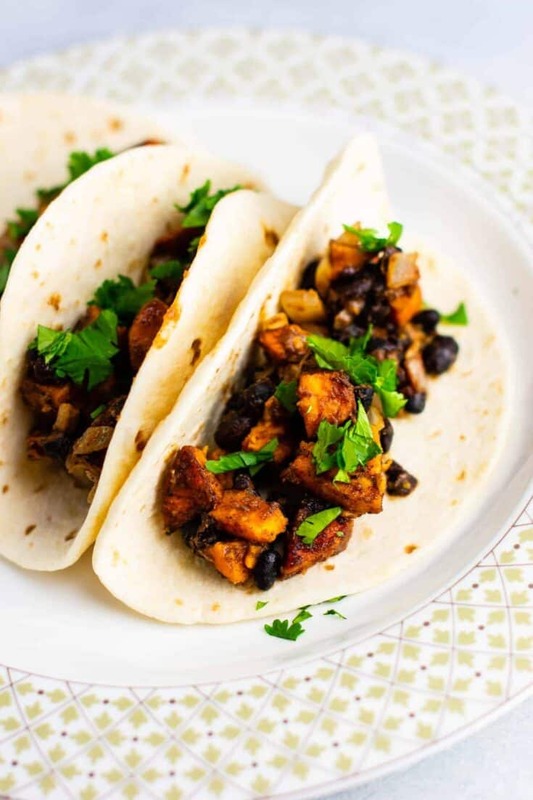 Scoop some of that yummy filling into soft taco shells and it’s time to eat! 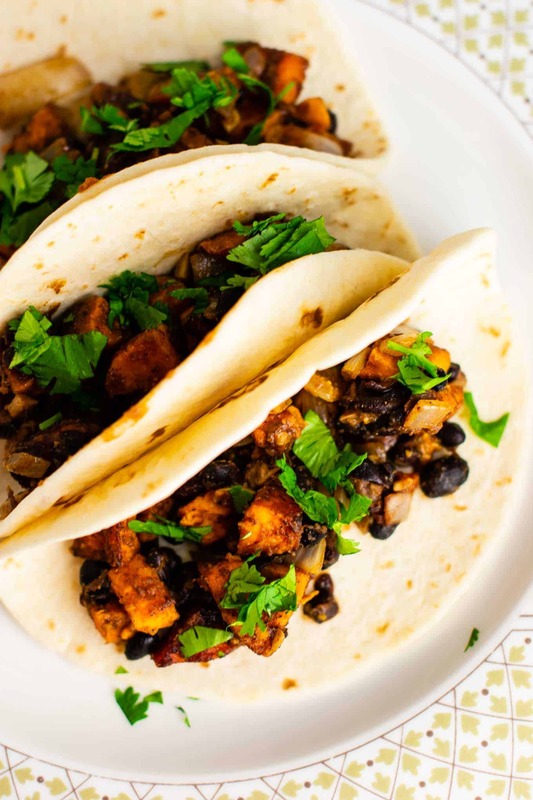 Garnish tacos with chopped cilantro and toppings of choice. 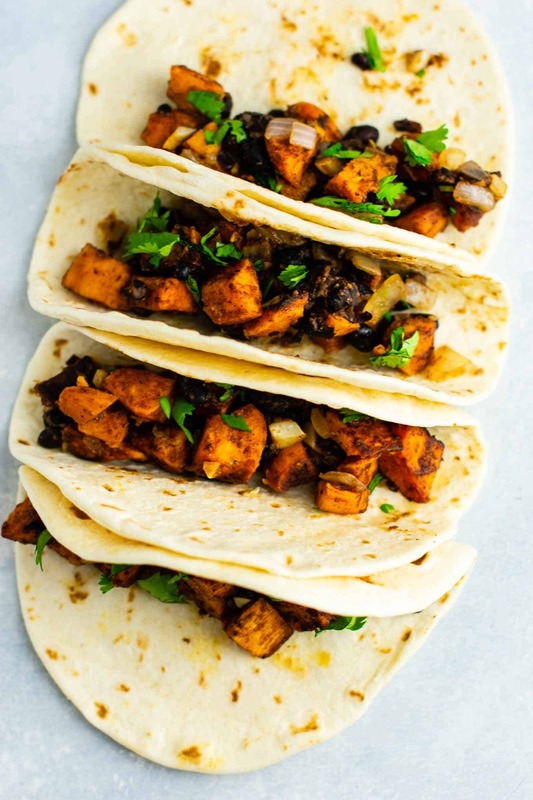 Plant based, simple, filling, and flavorful. Loving these! Hungry for more? 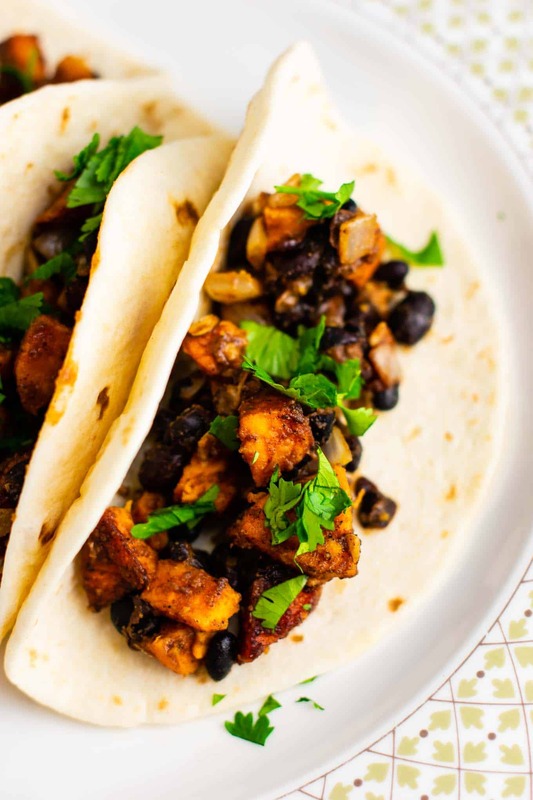 Check out my post on 26 vegetarian mexican recipes, or see some of my favorites linked below! Made these last week and we loved them so much that I’m making them again tonight. Excellent! !